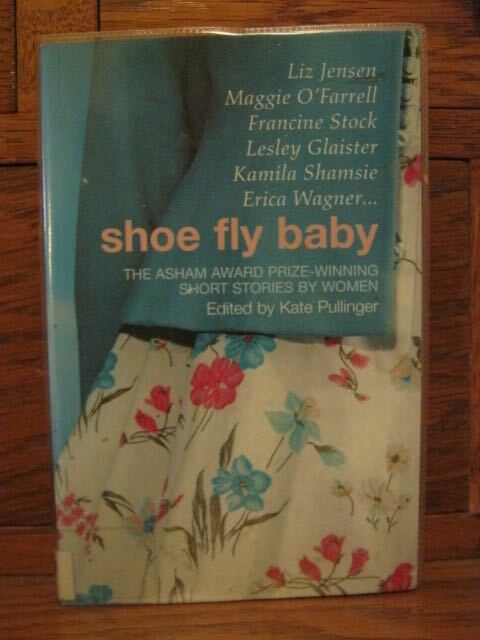 'Shoe Fly Baby' is the Asham Award Prize short story collection edited by Kate Pullinger. I recommended a short story by Kate a while back in another anthology. I drifted though this book a little, kept coming back to half read stories with no recollection of what had been happening, I'm afraid that does not recommend it very highly, or maybe I am just in such a bad slump at the moment I was not concentrating. "She kept finding bits, all over the place, even after they'd cleaned up. Not from the victim, of course not, that would be silly, although he went straight out through the windscreen and along the road, face down, they told her. She didn't look. Even when all the neighbours ran down their gardens to the road, and all the police cars with their lights were parked all over the grass, and it was even on the radio, the cars were queued up for that long.